So, today I wanted to take a few minutes to show you some projects using the techniques I teach in my workshops. I've created a few handmade watercolor cards to illustrate the techniques. These are simple cards, without a lot of embellishments or sentiments. 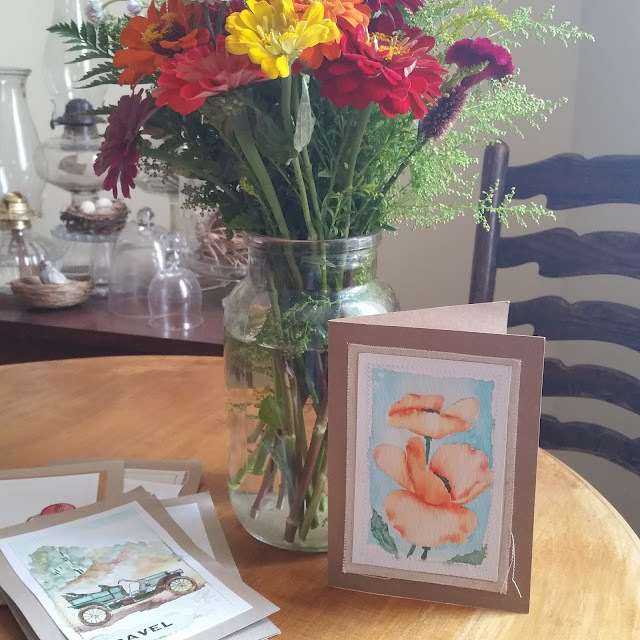 I prefer "blank" cards, a handwritten note is much more personal. If you've taken a class with me, no doubt, you'll recognize some of the techniques. 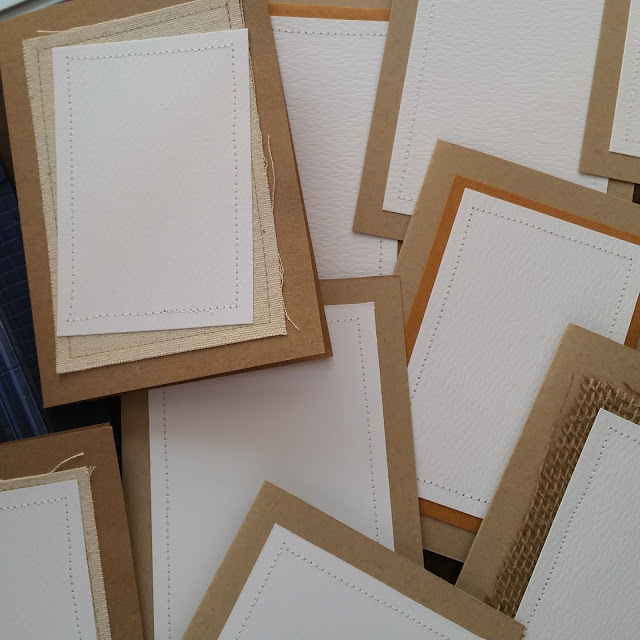 To get started, I whipped up some stitched card bases by sewing pieces of canvas, burlap, Kraft*Tex and watercolor paper to kraft paper cardstock. This cardbase is simple, and conveys an authentic "handmade" look. This first technique is easy, a stamped image, colored with Color Burst, and a simple watercolor landscape painted behind it. The landscape doesn't have to be overly complicated. It's basically a few blobs of paint blended with water. Since it's the background, it doesn't have to be perfectly in focus and overladen with details. 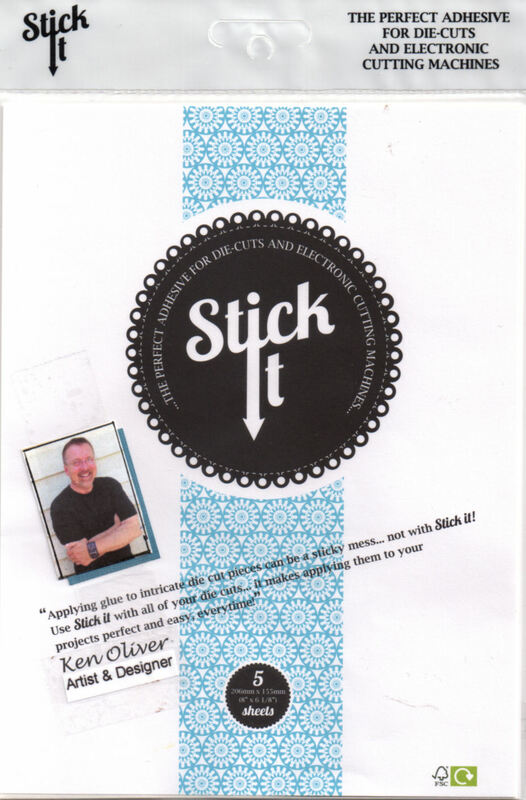 If you've taken my workshops, you have all the "tools" to do this. This next technique is really dramatic...it's a watercolor resist created with Versamark ink and white embossing powder. Simply stamp, and emboss with a heat tool, then randomly wash a Color Burst (I used Indigo and Ultrmarine Blue) background over the embossed area. The water and Color Burst won't stick to the embossed stamped area. It's simple and elegant. When you give this handmade watercolor note card to someone, they will think you're an accomplished watercolor painter. I've taught this little watercolor painting about 1,000 times this summer, it's wet on wet watercolor painting. 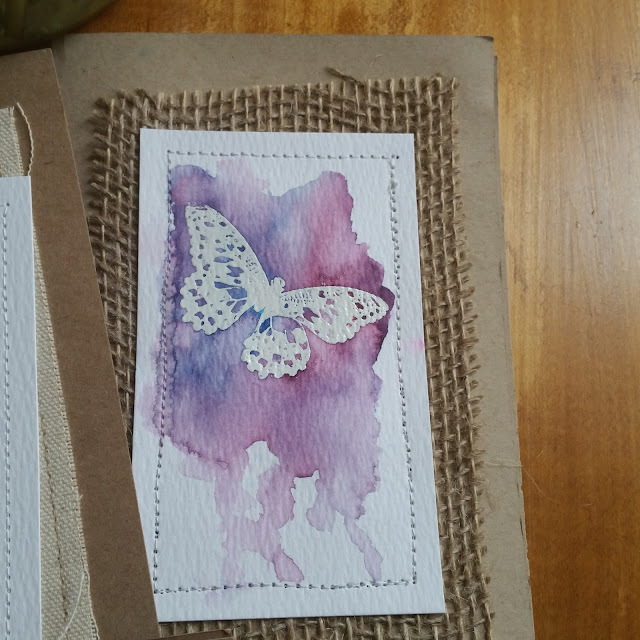 The trick to this is making sure that your paper is wet enough to let the Color Burst blend easily, but not wet enough that the pigment bloom. 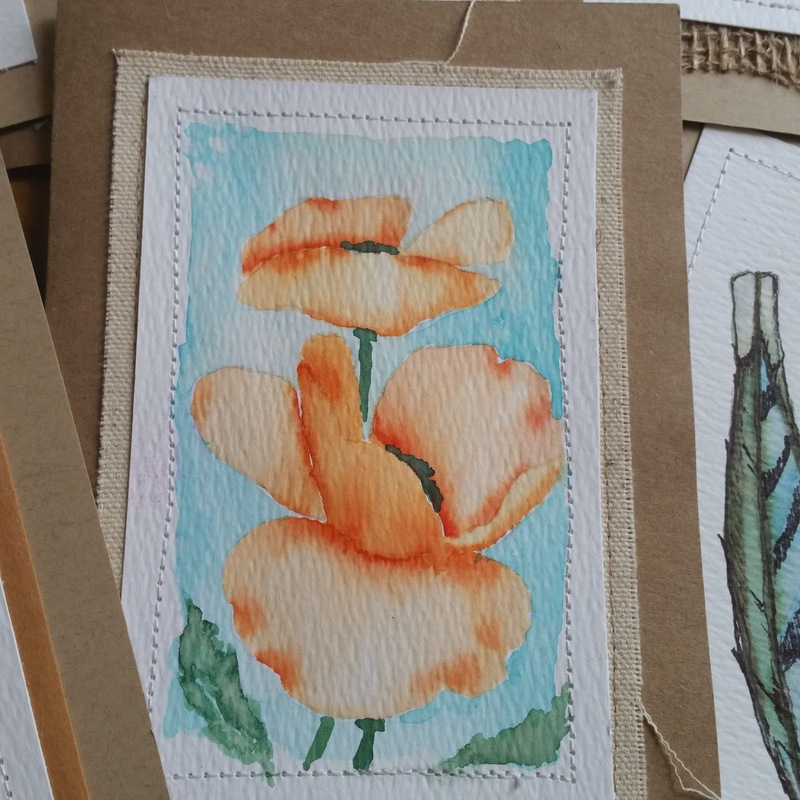 Who wouldn't love to receive a tiny painting on a note card? This little painting only takes about 10 minutes to paint. It's very artsy...let the paint and the water do the blending work for you. The paint will always "find the edge" of the water. 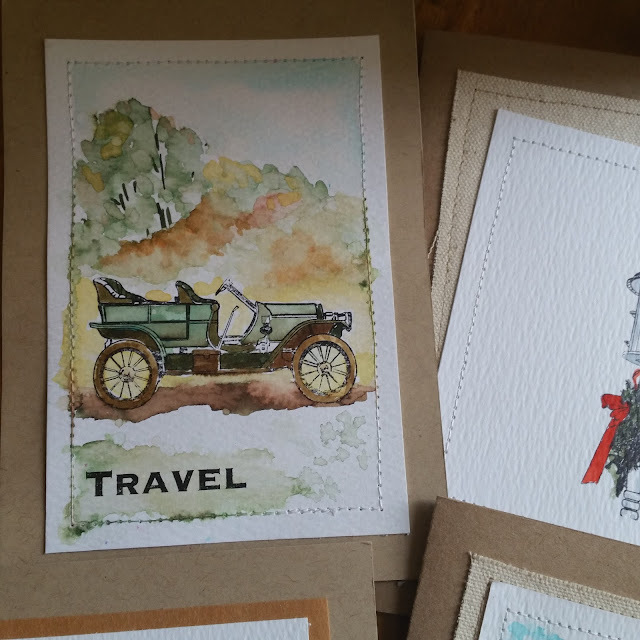 The next two cards could not be any easier, simply stamp an image on watercolor paper with permanent ink, then "color" with Color Burst. 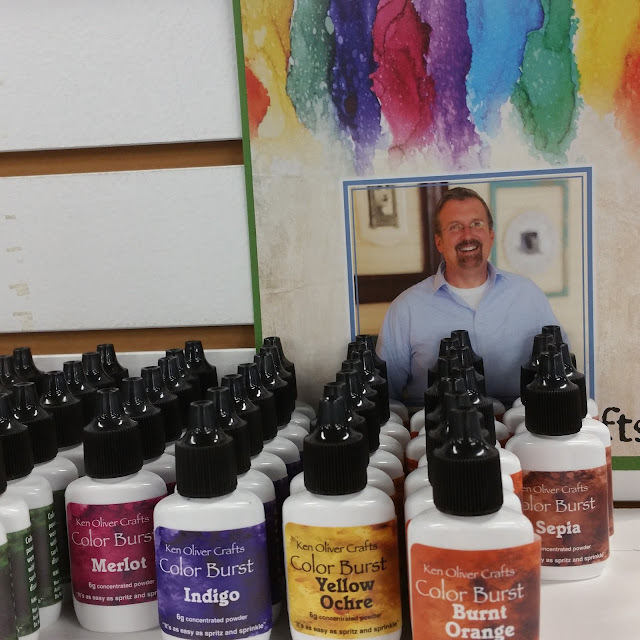 Coloring for adults is so popular now, take your coloring to your cards. You'll get the same "therapeutic" benifit, and make some lovely cards in the process. 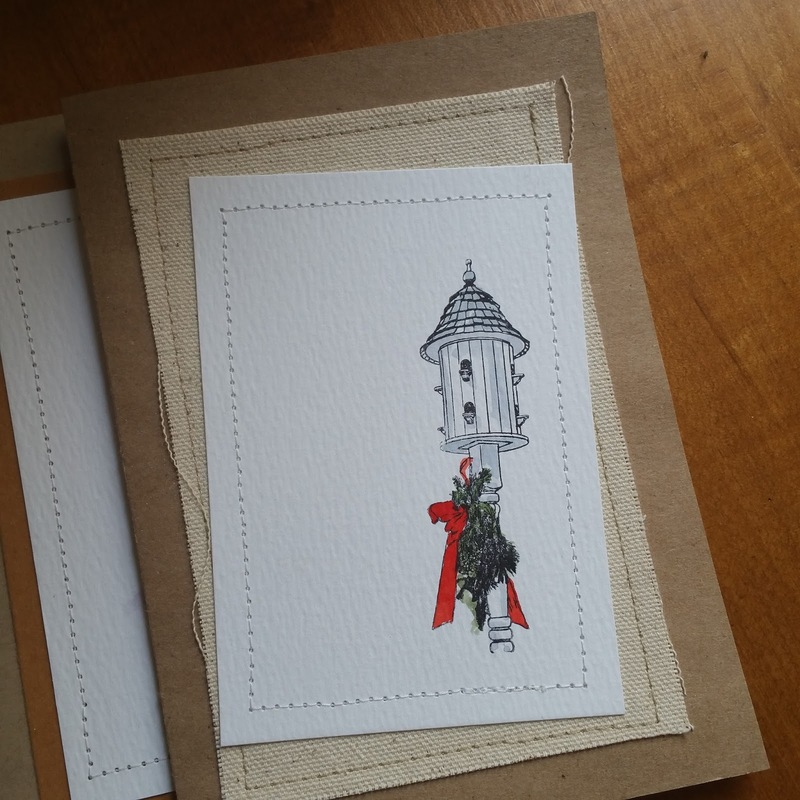 For me, simple is best, don't worry about adding a lot of embellishment to this type of card. Let the color and the stamped image stand front and center. I've even slipped in a Christmas card, I am not pushing the season, but it never hurts to get an early start. And, again, simple is best...I used 2 colors, Terre Verte Green and Alizarin Crimson; I used muddy water for the shadows. 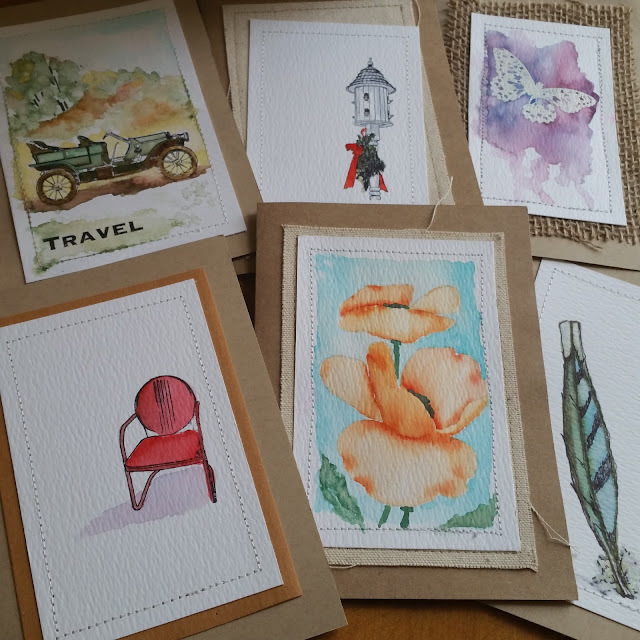 I hope you're inspired to create some watercolor cards...the techniques are simple and the "handmade" look is very elegant. 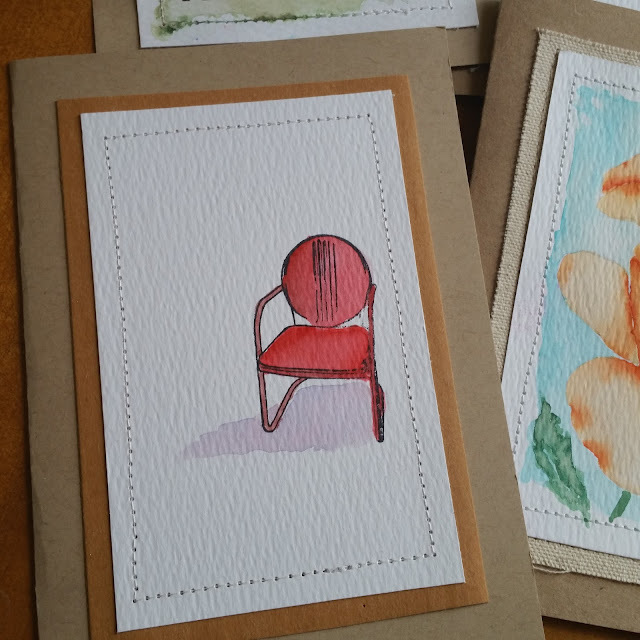 When you give these cards to friends, they'll think you're a master watercolor painter, and you should not tell them any differently. Thank you for stopping by today, I hope you enjoy the rest of the weekend. If you create some watercolor cards, I'd love to see them, post them on Facebook, Instagram or Pinterest, and make sure to tag @kenolivercrafts so I'll see them. You never cease to amaze me! So glad I was able to be a student this year! Great ideas. Can't wait to try them. I'm enjoying the Color Burst so much! Really nice Ken....Thanks for the tips...and Happy Labor Day to YOU! Thanks for the inspiration! These cards look fabulous. Love the layers you create to highlight your water color designs!